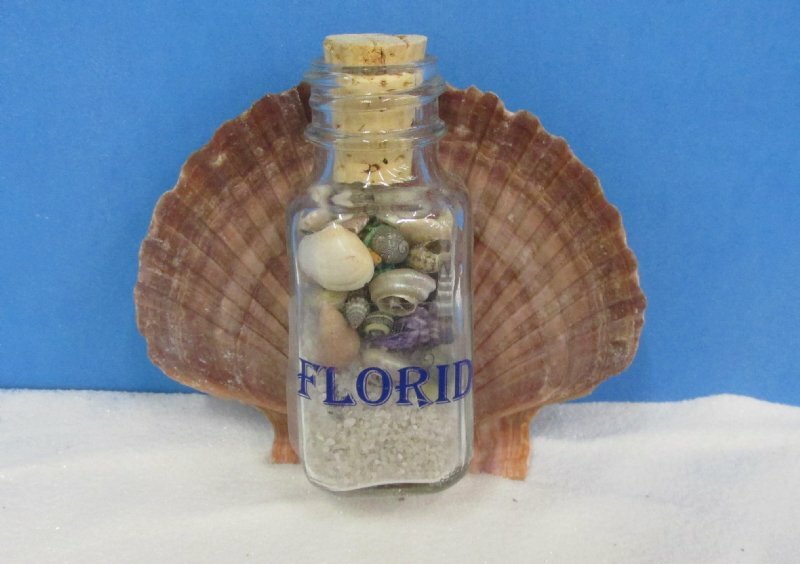 Wholesale Florida souvenir square bottle with shells and sand on top of flat 3" scallop shell magnet. 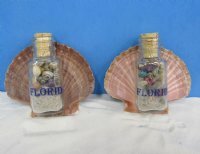 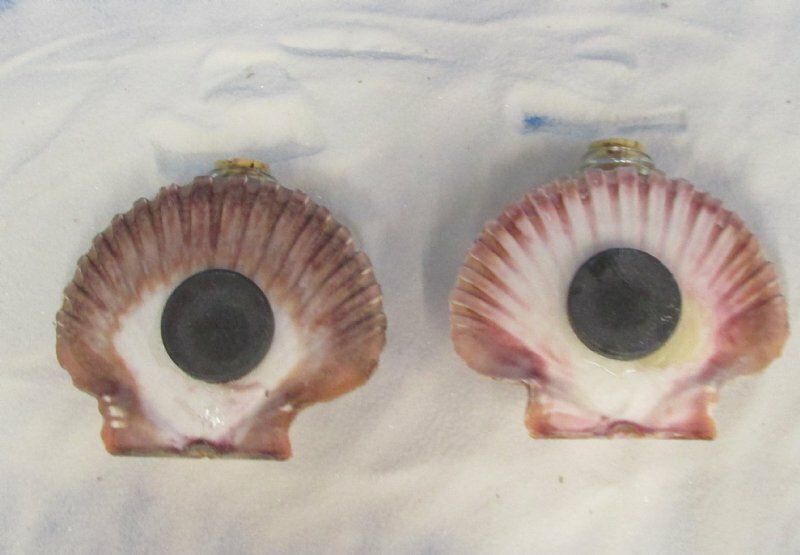 These bottles are 2-1/2" and are filled with sand and natural shells with a magnet on back of scallop shell. 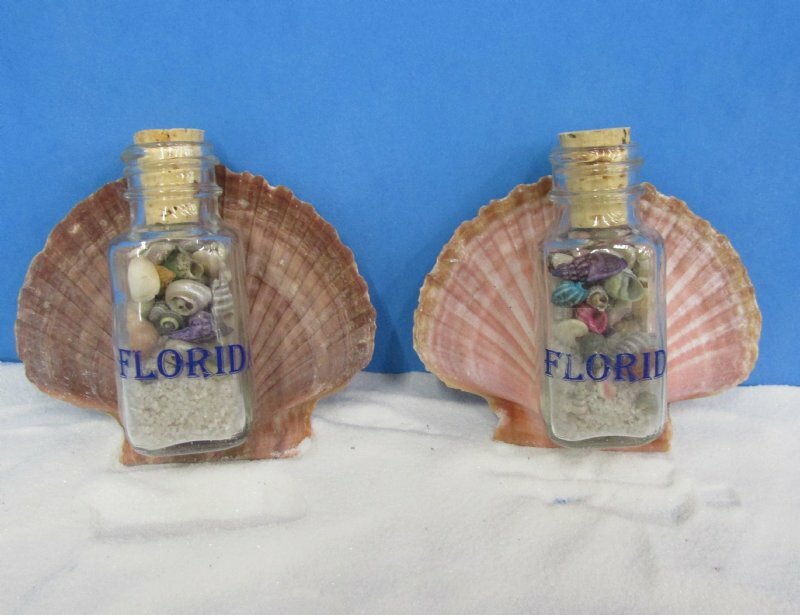 These are great souvenir gifts and are cute novelty items collected by people of all ages. 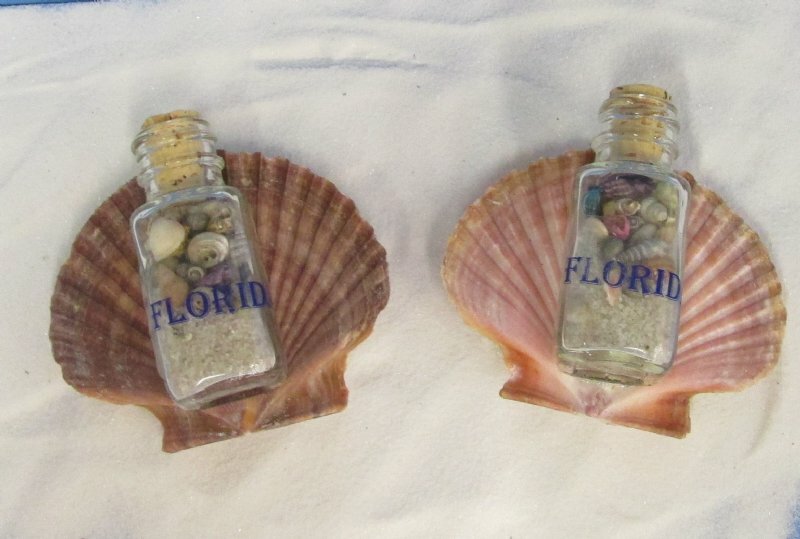 These souvenir gifts are a profitable item for beach gift shops.